Night photography in all its variants. It will be selected the protagonist photograph for the poster of the 2nd edition of Night photography, long exposure and lightpainting Congress from Navarra, ILUMINARTE. 15 finalists photographs will be selected, one of them will be the winner. 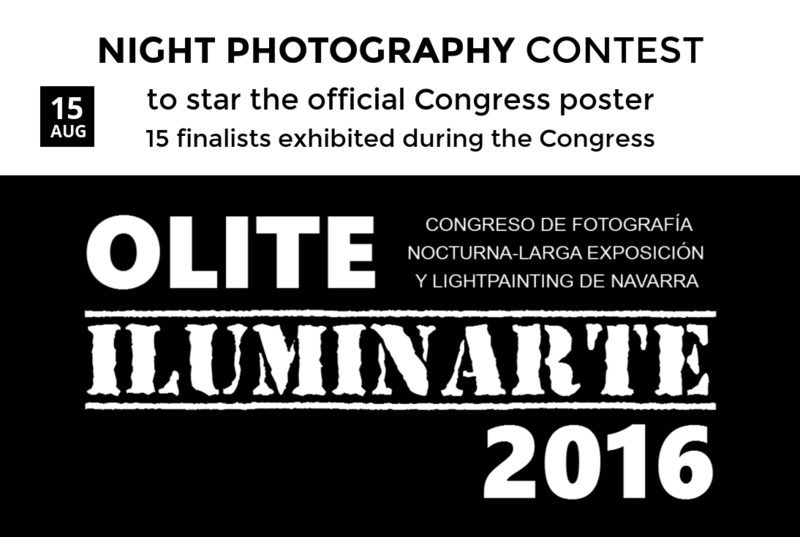 The 15 finalists photographs will be exhibited during the ILUMINARTE Congress, on 21 and 22 October 2016. You can submit up to 2 photographs. You can submit your photographs from 7 July 2016 to 15 August 2016, inclusive. The jury's decision will be published on 22 August 2016. Spread your light as the stars do. - Never hold back the light you can share with others, shine as bright as you can until you reach your goal. One 15 second exposure with a remotely released shutter, me as the model while holding a lighter in the air. Location is Ninigret Park, Rhode Island. The Night In Rain - The one night of Yangon View. Avatar - This is a photo of a friend of mine in front of an installation at 'Vivid Sydney'. Tehran Night Life - Last year when attending Fajr film festival I had to take a bus to go home late night. I was so shocked with the world inside it. to spend the whole night inside a bus is indeed such an exotic way of life in which you pay to get in, get to sleep through the whole path, then you get off waiting for the same bus for a few minutes, then again you have to pay your way back to the same spot. Such a mundane repeated activity. so another long term project involving these nights started. The idea of seeing and freezing the very true everyday moments of lives and humanity is always on my mind during any of these projects. The passion to see the world through the lens, as if you are not one of the members of this world but you are just recording it, or you are not playing but just watching it. I’ve often looked for satisfying ideas to spend my free time after work or in the off days, carrying a camera everywhere lets you be there by all means. Sounds freaky but I do feel lost without it. Besides, this city is indeed a relying source of storytelling. you actually don’t need to be any wiser than shooting the reality and narrating the truth without any manipulations. The stories are there in the bodies, looks, colors and forms and I always tell myself, just keep calm and shoot it! The 2nd edition of night photography, long exposure and lightpainting Congress of Navarra ILUMINARTE is coming, with new speakers, new techniques, and a great desire to teach and enjoy photography. Give the chance to your work to be the protagonist of the official poster of Congress, plus get a ticket to Congress for two people + accommodation + dinner. ILUMINARTE Congress. 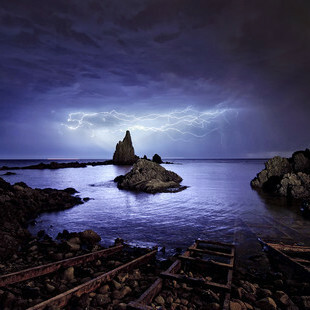 Night photography, long exposure and lightpainting Congress from Navarra. The photographs must be at least 1 000 pixels and no more than 10 000 pixels, in JPG (JPEG) format, and can be no larger than 10 MB. Only photographs submitted via the contest page: https://fomunity.com/contest/iluminarte2016 will be accepted. You can submit photographs from July 7, 2016 at 00:00 until August 15, 2016 at 23:59. The jury's decision will be published on the contest webpage on August 22, 2016.